Enhanced ingredients. Fluid bed and spouted bed technology for dust-free granules with improved and defined particle properties. Glatt launches phosphorus recovery system "PHOS4green", the compact fluidized bed agglomeration solution "GF ModFlex" and "ProAPP® Lab", the laboratory unit for continuous spray pyrolysis in a pulsed hot gas stream. Benefit from high-performance powders produced with Glatt APPtec® to improve active materials for batteries and solid electrolytes. All particles are treated identically regarding to temperature and retention time as a basis for homogeneous NMC, LNMO, LLZO or modified graphite. Meet the Glatt Experts! Take the chance and discuss your ideas about innovative particle design with fluid bed and spouted bed technologies. Learn more about enhancing the functions of food, feed, chemical, and fine chemical ingredients. Meet the Glatt Experts during the Poster Party, presented by Dr. Thomas Jähnert from Glatt Process Technology Food, Feed & Fine Chemicals. Learn more about APPtec – a new generation of spray pyrolysis technology to produce advanced materials. Processes. Plants. Complete production sites. Extension/modification of existing and the construction of new production facilities - in parts or completely. 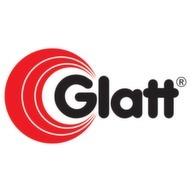 Glatt Process & Plant Engineering: We combine professional engineering with in-depth technology expertise. Benefit from reliable solutions from one single source for your investment projects in pharmaceutical, biotech, food, feed and fine chemical industries. 15th International Conference on Inorganic Membranes: Dr.Lars Leidolph, Glatt Ingenieurtechnik GmbH presents APPtec as a new method to produce innovate powder materials with unique functionalities for inorganic membranes and specialized ceramics. Dirk Steinhäuser and Jan Kirchhof, Glatt Process & Plant Engineering, Glatt Ingeneiurtechnik, Germany, will give a lecture at the ACHEMA Congress 2018 on "Modular Plant Concepts for Biotechnological and Pharmaceutical Production – Case Study with comparison of Project Examples"
Based on proven fluidized bed technology Glatt offers the newly developed compact, flexible and modular plant concept Glatt GF ModFlex for continuous spray agglomeration for food and feed ingredients. Different particle technology principles from powder synthesis in nano or sub-micron range up to particle enlargement technologies in micron or millimeter size range. Interested in? Don’t miss our Workshop in Weimar. You are kindly invited. More performance for your detergents. Meet our experts at SEPAWA 2017! More performance for your detergents. You would like to improve the effect of detergents while at the same time fulfilling the stringent requirements regarding environmentally friendly cleaning processes and complying with the criteria regarding storage, handling and dosing? Innovative Process Technologies for Customized Functional Ingredients and Beverage Powder Mixes. Glatt will present innovative fluidized bed and spouted bed technologies to dry, agglomerate, granulate and particle coat various ingredients for sophisticated applications.